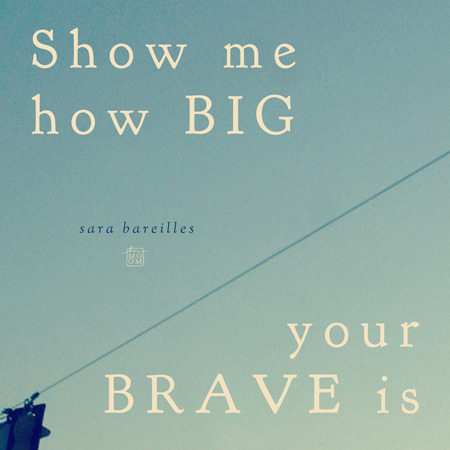 Been listening a lot to Brave by Sara Bareilles these days. A biiit cheesy, but I'm in a season of life where that works just fine for me! "Nothing’s gonna hurt you the way that words do / When they settle ‘neath your skin / Kept on the inside and no sunlight / Sometimes a shadow wins..."
And perhaps one way out is to have all that, and still move forwards into a brave, valued life. yes, have you seen her video for "gonna get over you"? :-) so random but entertaining (and original for sure) ! thanks for uploading it ! O, remembering those good days when you introduced me your songs in the car! glad you like the song !